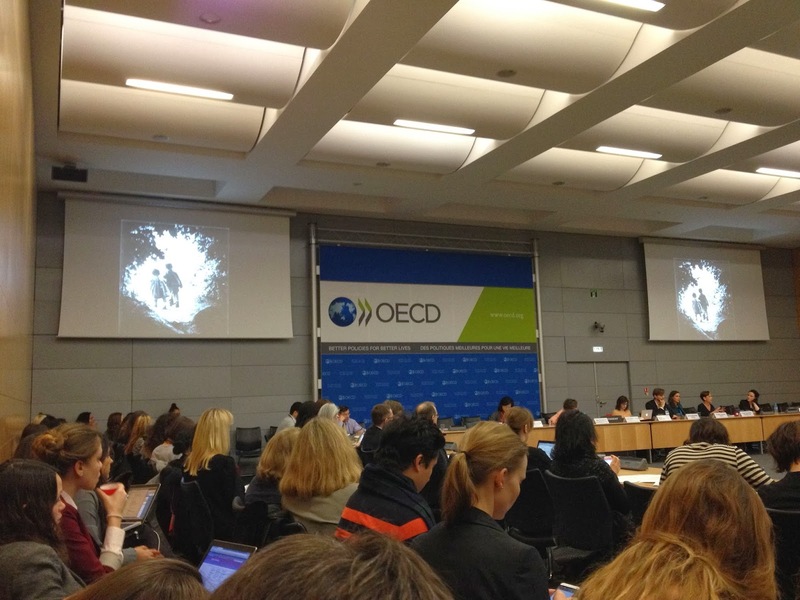 Thursday, February 20th I trotted on over to the OECD for a half-day conference on Social Media. Put together in part by iABC and the OECD (or in French, the OCDE) the morning's talks got people comfortable with the basic who/what/where's of social media. I stepped in to hear "Ignite social media" - four five-minute presentations on a variety of uses of social media. Mary B. Adams, social media consultant (@LadyMissMBA), presented a packed discussion on measuring ROI. Arthur Mickoleit, OECD e-gov policy analyst (lnkd.in/b4EcuV), mentioned how there's a 20:1 ratio difference between political leaders twitter followers and their institutions. The question is how to get the governments to engage and use SM as well. Chicago had a successful interaction with its Chicago Shovels: Snow Corps campaign linking volunteers with residents who need this service. Mickoleit is deep in the awareness that in a lot of countries, education determines social media use. And he recognized that the value proposition for governments can be tougher as they may not see a real R.O.I for social media use. In her "Why wikis?" 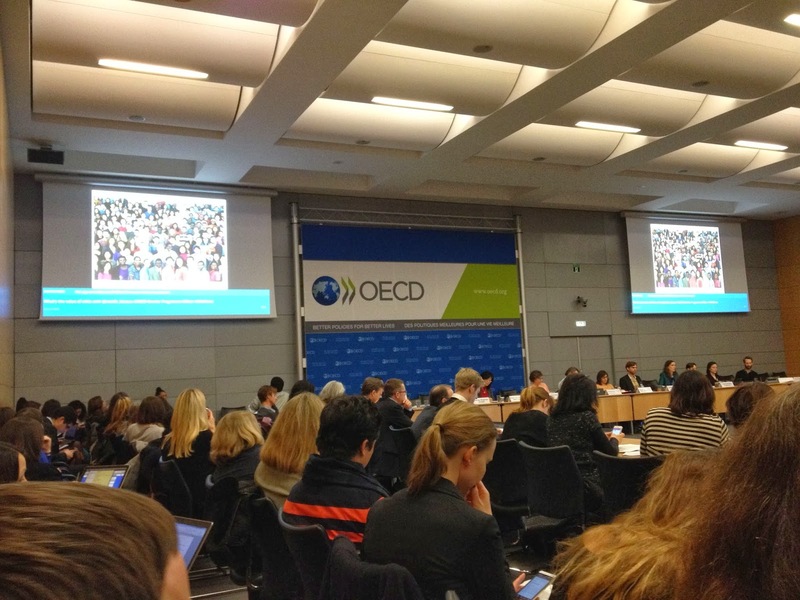 talk, Estelle Loiseau, manager of OECD’s WikiGender, clearly showed how wikis provide information from the "bottom up" as individuals add their knowledge to a page. She's seen it as a great source for crowdsourcing and for strategy partnerships. Yael Swerdlow, co-founder of Snapcious (@YaelSwerdlow) wowed us with the fact that "1 billion photos are shared per day on social media sites. Photography is our global language" and her challenge is to move us from mindlessly just clicking to engaging us with her Snapcious contests. Mentioning her Women's Empowerment Foundation perked up the ears of a few others in the room and I will be eager to attend her upcoming event as well.